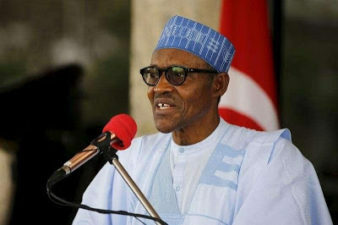 As it has become a reality that President Muhammadu Buhari is set to recover the $16 billion money long revealed to have been spent by the Peoples Democratic Party (PDP) administration of Chief Olusegun Obasanjo but without power generated for the people, fresh revelation has shown that there was more corruption perpetrated by the former President’s team than meet the eye. Recall that Mallam Nasir el-Rufai, testifying before an ad hoc Senate Committee investigating the privatization and commercialization of government businesses from 1999 till the time of investigation in 2011 when Jonathan was already in power, had revealed that former President Obasanjo and his deputy, Alhaji Atiku Abubakar, had influenced the sales of government enterprises to their friends. el-Rufai testified for his role as a former Director-General of the Bureau of Public Enterprises (BPE). Mallam El-Rufai told the committee that when he ran the Bureau, Obasanjo and Atiku contacted him at different times to influence the sale of government companies to their cronies but that he turned them down each time. “The president and I were always quarrelling over issues of privatisation,” Mallam el-Rufai said adding that, “Each time I told him we have a process … that they should advise their friends to be the highest bidder.” He also that former President Obasanjo blocked the sale of Nigeria Airways because of a personal interest he formed based on stories the then aviation minister, Kema Chikwe, was telling him, although Mallam el-Rufai, who also later became Obasanjo’s Minister of Federal Capital Territory (FCT), hailed the idea of the privatisation programme but blamed its failure after he left on government interference in the process. 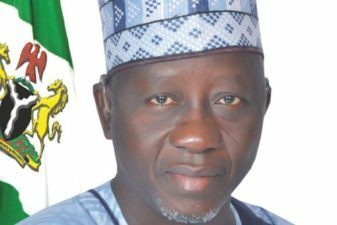 He said that under his leadership, the agency handled 33 transactions, closed 23 and that only one of the transactions he handled failed. Mallam El-Rufai’s claims were corroborated by testimonies of Chris Anyanwu, who was also a Director General of the BPE. Earlier, Mr. Anyanwu had told the Senate committee that “some individuals,” whom he described as “powerful,” influenced the decisions of both the bureau and the Infrastructure Concession Regulatory commission. The above, gives credence to our current investigations through which revelation of how Obasanjo allegedly came to set up a pre-paid meters producing company while in office as President. The DEFENDER’s nose on the ground finally sniffed this out on Monday as more sources volunteered leads to how Obasanjo abused his office as President to set up a company known as Unistar Hi-Tech Systems Limited (called Unistar Technologies by our source) using a front, which in itself is also being investigated by this media organization. Unistar was to be a consortium of Nigeria-Chinese electrical engineers working together for the purpose of producing and delivering pre-paid meters to the Power Holding Company of Nigeria (PHCN) for onward transmission to electricity customers in the country. Our source said it however turned out that the Executive Director Distribution of PHCN at the time, simply identified as Obisuyi, ran into trouble with Obasanjo only for Engr. Makoju, the then presidential adviser on power, to intervene thereby saving his job when the President ordered the sack of the ED. Asked if he could substantiate his claims, the source, who insisted strictly on anonymity because of his status in the society, said it is simple thing to know. “Just let President Buhari find out whether there was or is a company called Unistar Technologies in Nigeria at all or not. Then let him find out, regardless of who was used to front in the company, what does the company do and, if pre-paid meters, how did it get to come into the business of producing pre-paid meters for PHCN? “He should probe further; Was there any time the ED Distribution of PHCN complained about the standard of pre-meters being brought in or not? If they try to deny this, then ask; Was there any time the ED’s sack was ordered? If yes, ask; why and what was his offence? 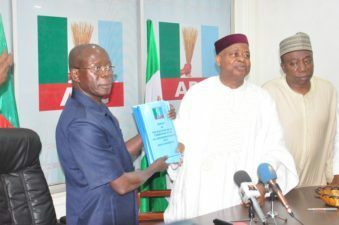 And the President Obasanjo’s SA Power, Makoju, is still alive same the ED Distribution and I will leave the rest to the government to do its job,” the source said. What this investigation is yet to conclude upon is clarity about Unistar being earlier sited in an area in Maryland using a property said to be owned by Obasanjo but sold off by the landlord (Obasanjo) suddenly without notice to even the company management and staff. What is clearly gathered in the course of our investigation is that Unistar is located at Phillip area of Ojota, Lagos. “You would then ask if the property does not belong to him, who sold it off and if the company does not belong to him, why is his name featured prominently in the ownership and selling of it? It is needless to say the selling of the property was done without notice to the company using it, which has been described as one of the ways of impunity that is known with the former president. And in case he confesses to ownership of the property but denies the ownership of the company, then, the question should be asked: Was the company paying him rent over the property before it was sold off and if no, how come a company as big as that would be using your property without pay and you would not complain?” He gave leads. The most beautiful thing is that The DEFENDER traced the Chinese working for the company allegedly owned by Obasanjo to their terrace house apartment in Ikeja, Lagos State capital. A terrace house is in itself an each building that is one floor above a duplex. Although the source sought to be protected, we gathered Monday that even the Chinese occupants of the residential terrace house have not been able to pay their rent lately and that they gave reason that the money of their company was hooked somewhere. The excuse given by the foreigners for inability to pay their rent therefore provided us the clue into possibility that Unistar may have run into trouble waters with government of the day, which therefore may have sealed its accounts and which is affecting the progress of the company and its workers. It is therefore no wonder, despite huge investments government claim to have made into providing pre-paid meters, no single DisCo has ever been able to give tenable excuse it fails continuously to provide same to consumers. The Landlord of the terrace house where the Chinese live and who is being owed the rent confirmed to The DEFENDER everything about his tenants which link them to Obasanjo. This online newspaper’s main duty by this report is to break an investigative ground for the government to carry out comprehensive findings about Unistar Hi-Tech Systems Limited and what role it played in electricity pre-paid meters production and delivery to PHCN and more in-depth investigation must be made into unearthing circumstances surrounding the establishment of the company for that purpose at exactly the time Obasanjo’s government was winding up the National Electric Power Authority (NEPA) through the PHCN which was believed to be that power sector was on transit to privatization. It was gathered that when eventually the PHCN’s ED Distribution had to be part of another delegation to China over a fresh talk about the standard he earlier complained about which almost cost him his job, he made no single comment because, according to him, he now knew that Obasanjo was himself the owner and so he did not want to be in confrontation with the President. What our source is concerned about now is that, “If Obasanjo, who has been going everywhere to tell the world who is a bad President that must not be trusted with Nigerian security and economy and who must be voted out of power, he should be made to say something about Unistar. No effort must be spared in sniffing this fact out from Obasanjo because he abused his office by setting up a pre-paid meters production company as sitting president,” he said. The latest revelation is further delving more into what Obasanjo’s vice, Alhaji Atiku Abubakar meant when he admitted and confirmed during The CANDIDATES campaign debate on NTA/TVC that it was unfortunate the “our administration power project” was not properly handled and so it failed. The DEFENDER for quite sometimes reported that PDP government of Jonathan sold Obasanjo’s transitory PHCH now unbundled into segments including the Generation Companies (GenCos), Transition Companies (TCNs) and Distribution Companies (DisCos) to either politicians of the then ruling party or friends of the party with Obasanjo and General Abdulsalaam Abubakar inclusive. What is also bad is the attitude whereby Nigerians are swindled by the DisCos to the extent that in some areas in Lagos, customers pay like N18,000 but DisCo in charge of their area send them alert of N6,000. Where has the N12,000 difference gone? 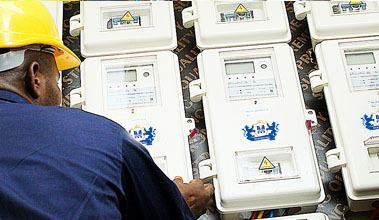 Much as investigations confirm availability of pre-meters in stores of the DisCos, why have they continued to enjoy cheating customers with estimated, crazy bills even when they know that they do not give them power supply commensurate to what they are forcing people to pay. It then tells stories why, despite much effort by the Buhari Administration to generate power megawatts never generated by any government in Nigeria, the Nigeria’s power sector in the hands of the opposition in business and ownership of the power companies is yet to arrive. Former President Olusegun Obasanjo, leader of the 2018/2019 gang up by opposition coalition against President Buhari, has his name constantly featured in this huge corruption and evil of the power businessmen against innocent Nigerians and calls are being made to Buhari to, more like he did to Walter Onnoghen, get to the root of it.